Along with Matthew Kaufman Martin Evans was the first to culture mice embryonic stem cells and cultivate them in a laboratory in 1981. Martin Evans who is Welsh was born 1 January 1941, Stroud, Gloucestershire. 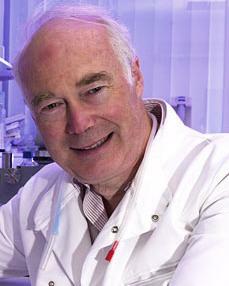 In 1978, he moved to the Department of Genetics, at the University of Cambridge, and in 1980 began his collaboration with Matthew Kaufman. They explored the method of using blastocysts for the isolation of embryonic stem cells or ES cells. The very first name I gave to these was "ED," for embryo-derived, then "EK," as initials for Evans-Kaufman. Kaufman left but Evans carried this work forward and isolated the embryonic stem cell of the early mouse embryo and established it in a cell culture. He genetically modified and implanted it into adult female mice with the intent of creating genetically modified offspring, work for which he was awarded the Nobel Prize in Physiology or Medicine in recognition of his work in 2007. 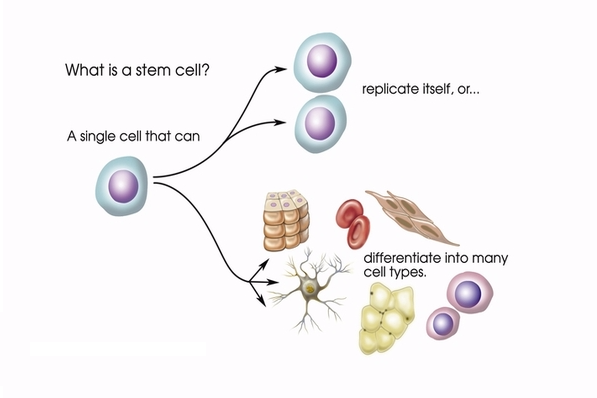 Diagram showing how stem cells are used. Our body is made up of cells that have many different functions. Before a cell becomes an adult cell they begin as an embryonic cell. Embryo cells can reproduce themselves or become adult cells. In December 1981 Gail Martin called the cells embryonic stem cells.